Pathfinder International in collaboration with the Nature Conservancy (TNC), communities, Local and Regional government in Kigoma and Katavi are implementing a project called Tuungane to achieve health and conservation outcomes. The project works to empower community members, village governments, district and regional authorities in the management of natural resources while addressing health and livelihood needs of community members around the conserved biodiversity. Within the collaboration, Pathfinder manages health component with focus on strengthening health systems at community and health facility level. Summary: Manages the full project lifecycle from initiation through analysis and development to organization-wide rollout and training. Ensures the success of the project by establishing sound project and program management practices. Creates and executes project work plans and reports, manages project staff and budgets, monitors and evaluates outcomes for on-time delivery. Works with a multi-disciplinary team and serves as the Pathfinder spokesperson on behalf of the project to promote the project goals, achievements and strengths to key stakeholders.. .
• Project Work Plans and Execution: Creates and executes project work plans and revises as appropriate to meet changing needs and requirements. Identifies resources needed and assigns individual responsibilities. Manages day-to-day operational aspects of a project and scope. Reviews deliverables prepared by team before passing to client. Enforces project standards. Ensures all project documentation is complete, current and stored appropriately. • Project Status Reports: Prepares for engagement reviews and quality assurance procedures. Submits regular status project reports. Addresses issues and resolutions to mitigate risks. • Project Meetings: Holds regular status meetings with project team. Keeps project team well informed of changes within the project and organization. Communicates relevant project information to project leads. Delivers engaging, informative, well-organized presentations. Resolves and/or escalates issues in a timely fashion. Communicates difficult/sensitive information. Facilitates team meetings. • Project Schedules: Manages the project schedule and schedules for Pathfinder staff related to the project. Plans and schedules to align resources and deliverables. Serves as the primary point of contact for exceptions and rescheduling. • Staff Development: Trains other team members using train the trainer approach. Approves team members' time and expense reports. Reviews the status reports of team members and addresses issues as appropriate. Complies with and helps to enforce standard policies and procedures. • Technical Assistance: Provides technical assistance to country offices, host-country governments, local partners, and other agencies to assess needs and design SRHR and ISS & CB projects and services that are responsive to the needs of intended populations. • Quality Assurance: Works with the technical team to ensure that best practices for services and service integration are well documented, evaluated and poised for scale up. Coaches and builds teams to optimize staff performance programming, target setting and project workplan and scale-up. • Partner Management: Manages day-to-day partner interactions. • Country Specific Public Health System: Advanced knowledge of the countries’ public health systems. • Sexual and Reproductive Health and Rights: Advanced knowledge of family planning and reproductive health principles, practices and services of programs, including program strategies and indicators, and the latest professional developments in SRHR and SSCB. Advanced skills in designing, implementing, monitoring, and evaluating development and intervention activities, preferably with USAID, WHO, or other donor organizations working in the health sector. • Program Operations and Development: Advanced skills in implementing and managing similar program operations in the developing world, including advocacy. • Proposal Development: Advanced skills in proposal development from concept to full proposal, resource mobilization, and proven ability to raise substantial research/development funds. • Leadership: Advanced skills as a leader in health and health service delivery strengthening in developing countries and proven ability in developing strategic plans. • Program and Project Planning and Management: Advanced skills in program and project management and planning to fulfill performance objectives, including the timely implementation and reporting of donor-funded program activities. • Operations and Financial Management: Advanced knowledge of operations and financial management in developing countries. • Change Leadership: Ability to demonstrate a high degree of flexibility in managing change across a broad group of stakeholders in an inclusive manner. • Presentation Skills: Ability to make presentations on results and products to small and large groups. • Community Relations: Advanced skills in facilitating working relationships between partners, government officials, and communities. • Software Applications: Advanced knowledge of MS Excel, PowerPoint, Word and Outlook. • Languages: Proven writing and speaking skills using local languages and English language. • Communication and Influencing Skills: Proven ability to influence others through diplomacy and proven oral and written communication skills. • Passion for Sexual and Reproductive Health and Rights: Commitment to family planning, reproductive health services, gender, maternal, child health services, and eradication of harmful traditional practices. • Self-Management and Teamwork: Ability to work independently or as a member of the team, ability to thrive in a matrix organization, ability to be detailed-oriented, and ability to manage stress effectively in a fast-pace environment. • Confidentiality: Ability to maintain confidentiality on work related matters. Interested applicants are requested to submit their CV, including contact details for 3 references before the close of business on April 19,2019. 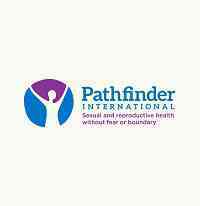 Applications should be addressed to the Director for Human Resources and Administration, Pathfinder International, PO Box 77991, Dar es Salaam or sent via e-mail to [email protected] stating the position being applied for in the subject line. Only short-listed candidates will be contacted.